So it turns out my passion is beer, craft beer, not macro beer. I love it, it’s interesting, varied (and not as expensive as whisky). So I’ve decided instead of neglecting my blog, I’d better write about beer instead – so here we are. My first attempt at reviving my blog with a direction haha (no, I’ll not write exclusively about beer, I’ll still cover other stuff too) – but at least I have a bunch of content to write about now. 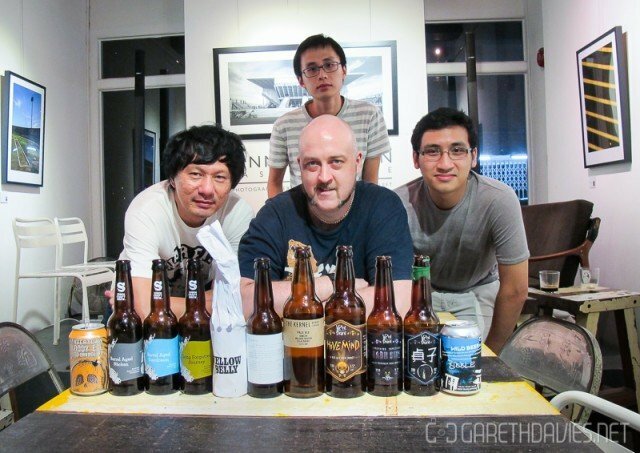 Recently a group of us (my craft beer geek tasting group) had an invite down for a beer tasting in Singapore to try a very special beer from a very special beer supplier in the southern island called Applehops. Applehops specialises in distributing English beer (yay) to Singapore and Malaysia and brings in fantastic stuff from Weird Beard, Siren, Wild Beer, Beavertown and many more. He’s also expanding his range with stuff from Omnipollo and coming soon Brekeriet – I can’t wait to see what else he brings in. The tasting also coincided with Beerfest Asia 2015, so we decided to spend a few days in Singapore exporing the beer scene, which is growing fast there. I’ll cover the whole trip, the venues we visited and Beerfest in following posts, but for now I’m going to start with the tasting itself and the reason we went pretty much – Omnipollo/Buxton Yellow Belly a legendary beer. I was really, really late! I drove down from KL and there was a jam, I left late due to some work stuff and I got there after the tasting had started. Very luckily for me, my hotel was literally a 2 minute walk from the place we had the tasting, a small joint called Artistry Cafe, which apparently serves amazing brunch. I stayed at the Village Hotel Bugis, which was a great place in a good location with parking and nice modernised rooms in a fairly old building. 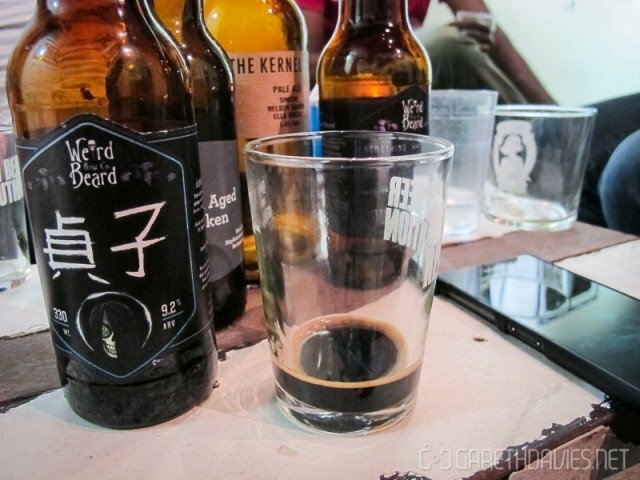 When I arrived, I was greeted with this – a very rare beer Weird Beard Sadako (Ardbeg BA) – strong peaty whisky on the nose, iodine, Ardbeg in the mouth, barrel forwards with a smooth oily finish. Rather nice! Some might call it a long whisky cocktail, fortunately for me I rather like Ardbeg so it’s ok for me! 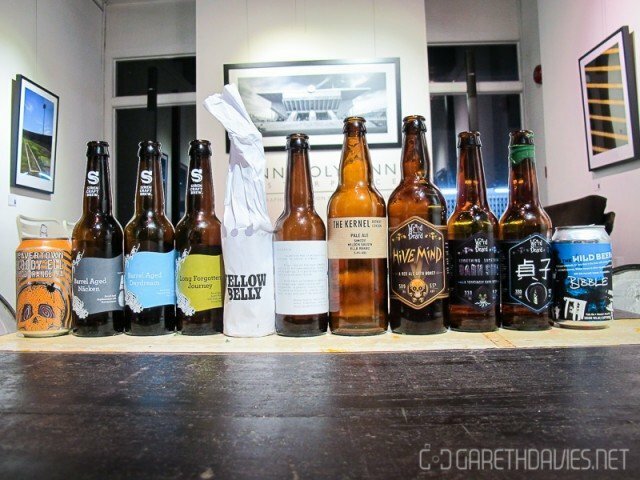 There was quite a few bottles popped when I arrived, but thankfully for me..there was something left in all of them – even The Kernel ale, which was my first time having a taste of the legendary brewery. And the beer I came all the way to Singapore to try? 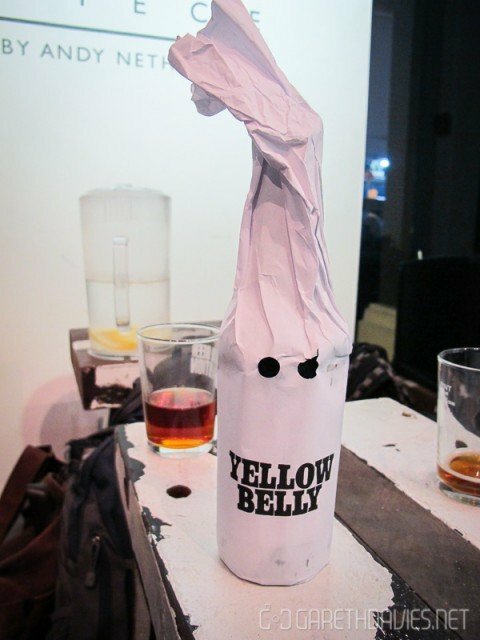 Still very much wrapped up, and yes it kind of look like a KKK member..it’s intentional as it’s a beer against racism. 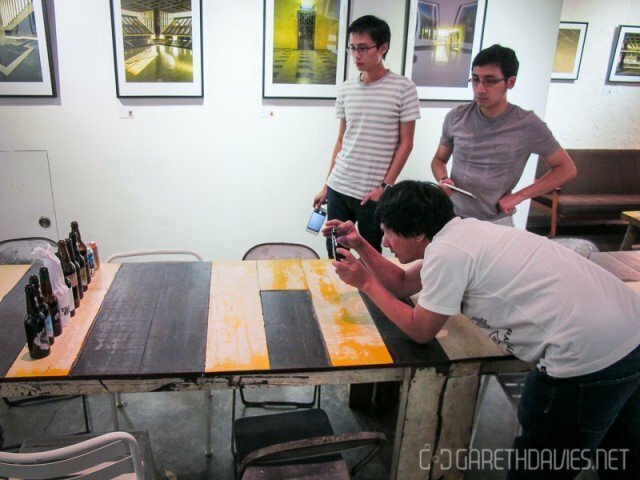 And as with every post of course, the beer geeks taking group shots haha. And here’s the money shot! Just 10 beers, but enough to knock me out after a long drive down from KL haha, and some of them were heavy stuff. Here’s a very rare, shot of us – as a group haha. 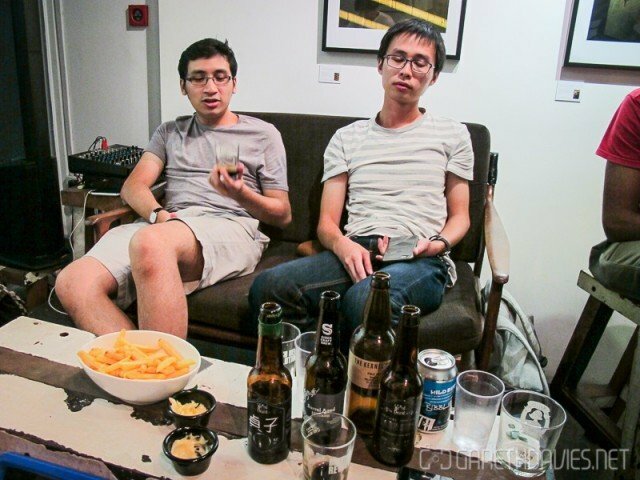 The Singapore beer invaders. And a not so serious shot..yah well we did just have 10 rather strong beers! Anyway back to the topic at hand, how was the tasting you ask? How was Yellow Belly pray tell? Does it live up to the hype? 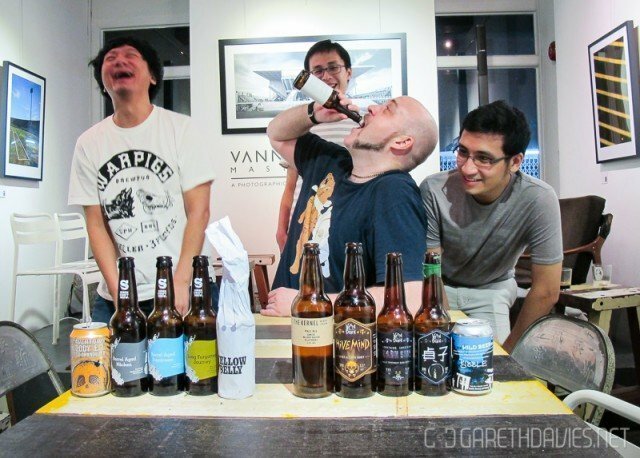 It was a tasting that changed my perception on English beers honestly and opened up my mind to what was out there, by that time I’d already had some great beers – but due to the stuff we get in KL I wasn’t so in tune with the amazing, mind-bending beers coming out the UK. 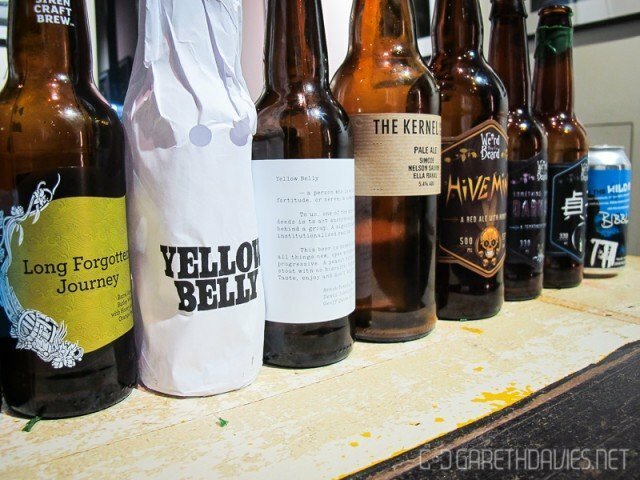 It was a really interesting tasting with a small selection that has a staggeringly wide palate, Bloody ‘Ell, Hive Mind and Bibble were honestly just ok – pretty simple, easy to drink session beers. But most of the rest, were quite interesting and different in some way. Notable being the Ardbeg BA Sadako as described above..along with Nacken which smelled like cider gone bad, had some white wine to it and a whole lot of funk. The barrel aged Daydream was something special too with vanilla and bacon, strong and sweet. And of course my first beer by The Kernel was enlightening, one of the most balanced beers I’ve had, so mellow but so tasty at the same time. An incident which motivated me to visit them in London. And the big one, Yellow Belly? How was it? It was genuinely life changing. It’s one of the best beers I’ve ever had, if you melted a snickers and put it in a bottle with some really awesome kind of imperial stout – you’d get Yellow Belly. A sweet medicinal nose, in the mouth it’s sweet, sour, smooth, velvety, cheap milk chocolate like kinder eggs, dark roasted, almost burnt peanuts, in caramel topped with whipped cream. Yah don’t lose focus, a beer tasted like all of that. Seriously. Yellow Belly, I love you, I need more.